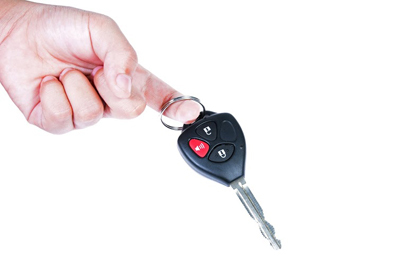 Our answers to your questions derive from our experience and can help you with your locksmith problems. We can help you decide whether you want electronic locks and you can also learn how often lock change is needed. Should I install electronic locks at home? If you are skeptical about the types of door locks you should choose for your home, remember that crime is our number one enemy, home security is important and the experts of Locksmith Rialto would recommend the best locks you can get. Hence, if you afford electronic locks, you should install them at least to high risk entrances but you need to remember that codes must be changed frequently for higher security. How often should I do lock change at home? You must have in mind three things: first, crime rates are high, secondly locks get old and weak and thirdly technologies improve. Hence, when you have the locks replaced often, you avoid lockouts, your home is secured with high tech systems and you feel safer. Specialists at Locksmith Rialto would recommend checking keys and locks every few months and possibly replacing some high risk locks every five years. What's the best way to avoid burglaries? Having good door locks is top priority. Also, these locks must be checked, cleaned and replaced before their mechanism breaks or keys rust. You must also have the windows locks replaced occasionally and invest in good security systems, like alarms, cameras and light/motion detectors. What is a lock throw? A lock throw is the distance which the bolt of a deadbolt lock extends to when the door is locked. The bigger the throw - the more difficult it will be for a burglar to overcome the lock with any kind of break-in technique involving the application of force. It is best if you get a deadbolt with a throw greater than 1 inch.